Welcome to the Airbrush Lifestyle! 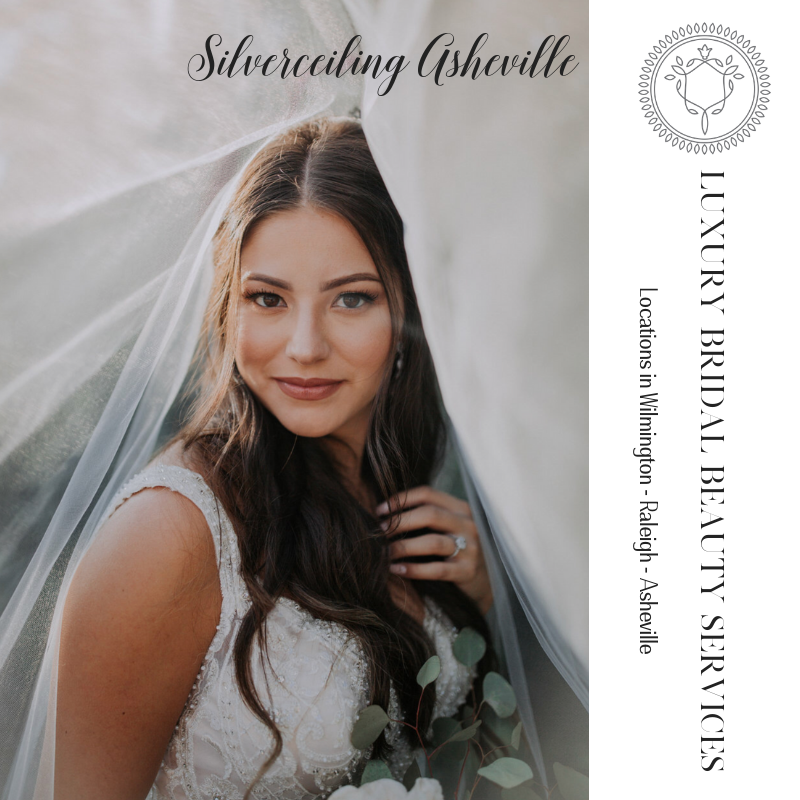 Silverceiling Beauty Consulting is a company dedicated to creating and guiding your unique bridal vision. We take into account your wedding details- preferences- and unique style, and create a hair and makeup vision that is uniquely all your own. We offer luxury airbrush makeup, hairstyling, HD lashes, hair extensions, and custom accessories to make you feel your best on your big day. Available on-location or in-studio: Asheville is our newest location! We also have beautiful bridal suites and stylists in Wilmington and Raleigh NC. Don’t trust your wedding hair and makeup to just any salon. Book the best: all we do is weddings!